DNA Worldwide Group is a company founded in 2004 in the UK. It specializes in DNA and hair drug & alcohol testing, providing its users with an extraordinary range of at-home and legal DNA testing solutions. The company is partnered with ISO:17025 certified Eurofins Genomics laboratory and holds an ISO 9001:2008 certification, exceeding all UK and international requirements regarding testing quality and customer service. The company also offers forensic testing, expert witness services, and relevant education. 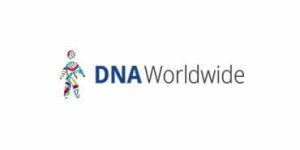 DNA Worldwide has more than 200 leading industry specialists backed up by a dedicated customer care team. It is also the only company on the market that claims 100% accuracy for all its testing solutions. Keep reading our dedicated DNA Worldwide review to learn all there is about the company and its exhaustive testing portfolio. DNA Worldwide implements a wide range of different DNA testing solutions and the exact procedure depends on the test in question. We’ll provide you with a rough outline of the steps necessary for each group of tests, but you should still contact the company before deciding on a specific route and ordering any particular testing option. At-home relationship tests – These tests are designed to establish a potential biological relationship between the tested individuals (paternity, maternity, sibling, aunt & uncle, grandparent, and identical twin) and can only be used to satisfy the user’s curiosity. In other words, these tests cannot be used as legal evidence of the biological relationship in court proceedings or with any other government institution. The procedure follows the usual direct-to-customer model, which means the company will provide you with an at-home testing kit designed to collect your biological specimen. Once the kit arrives at your address, you’ll be able to collect the necessary DNA samples and mail them back to the lab for further processing. When lab technicians finish extracting and comparing the DNA samples, you’ll receive your final report. Legal relationship tests – There’s a wide variety of reasons you might want to perform a legal DNA relationship test, including using the results as evidence in a court of law, changing the name on a birth certificate, creating wills, and more. In order to ensure the legal validity of the final report, the chain of custody over the relevant DNA samples must be documented at all times. Therefore, the DNA samples of all individuals involved must be collected by a professional doctor, accredited sampler or nurse, not self-administered. After ordering your test online and paying a 99£ deposit, a dedicated care manager will be appointed to guide you through the entire process. Your personal DNA testing kit will be sent to an approved medical practitioner in your area and an appointment will be made for a test at your home or in the clinic. After collecting the DNA samples, the company’s courier will pick them up and send them to the lab for analysis. 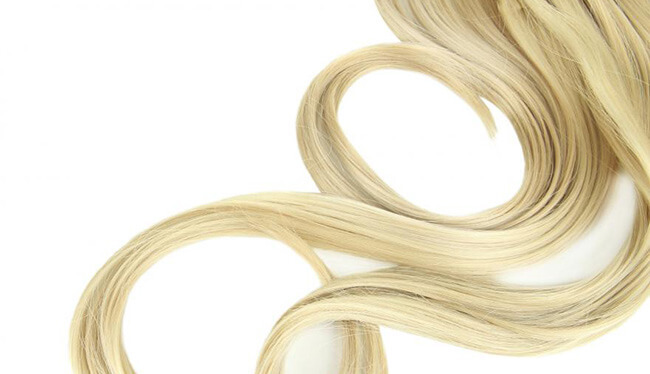 Hair-related tests – Testing solutions that use hair for their analysis are performed by arranging a certified collector to visit your home, collect the required amount of hair samples, and complete the chain of custody paperwork. All you have to do is contact the company to establish the exact testing requirements and place your order. Ancestry Test – The ancestry testing solution offered by DNA Worldwide follows the direct-to-customer protocol in its entirety. We’ll talk more about this option in the next subheading of our DNA Worldwide review. As we already mentioned, DNA Worldwide offers an impressive portfolio of different DNA testing solutions, including paternity, extended family, immigration, ancestry, and drug & alcohol options. Let’s take a look at all those tests and learn a bit more about them. At-Home Paternity Test (99£; 388.80£ for legal results) – This test checks a minimum of 21 genetic markers, incorporating dual testing for 100% accuracy. Sample collection is performed by swabbing the inner part of your cheeks in the comfort of your home and mailing your buccal cells in a provided prepaid envelope. The results are usually available within 3-5 business days and you can also track the progress of your test online. Note that the legal iteration of the test checks 44 genetic markers. Prenatal Paternity Test (1,235£; 1,855£ for legal results) – First of all, it is important to note that this a non-invasive version of the prenatal paternity test. Once you’ve placed your order, a nurse will come to your house and collect a blood sample from the pregnant mother and a mouth swab from the presumed father. If your home address doesn’t work for you, you can set a more convenient location for the visit. After the collection process is completed, the company will send a courier to collect the samples. You should have your results 10-12 work days after the lab receives the specimens. Prenatal paternity testing is definitely an expensive endeavor, but it’s the only way to establish a paternal biological relationship between the supposed father and the unborn child without endangering the mother and the baby. Note that the price doesn’t cover the fee for the nurse and FedEx shipping, which amounts to 295£. Home Maternity Test (149£; 388.80£ for legal results) – This test is literally identical to the paternity testing option, except the fact that it’s designed to establish a potential biological relationship between the child and the alleged mother. Sibling DNA Testing (375£; 429.60£ for legal results) – This testing option also checks 21 genetic markers and is performed twice for complete accuracy. The results, however, take a bit longer (5-10 business days). There are 3 types of genetic tests that can prove the potential relationship between siblings: full sibling vs. half-sibling, which establishes whether 2 individuals share just one or both parents; half sibling vs. unrelated, which establishes whether 2 individuals share at least one parent; full sibling vs. unrelated, which establishes whether 2 individuals share both biological parents or have no parents in common. Sibling DNA testing can examine up to 3 individuals, the alleged siblings and the parent. Aunt & Uncle DNA Testing (375£; 470.40£ for legal results) – This test checks up to 68 genetic markers, is also run twice, and covers up to 3 participants. The results are provided within 5-10 work days and they feature 99.9% accuracy when confirming a biological relationship and 100% when excluding it. 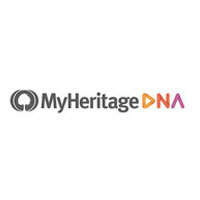 Grandparent DNA Test (395£; 470.40£ for legal results) – Users have two options when it comes to grandparent DNA testing. A single grandparent DNA analysis will test one grandparent with one grandchild and one parent if possible. The conclusive range will be higher than 90% for inclusion and lower than 10% for exclusion. Duo grandparents DNA analysis includes both grandparents being tested with one grandchild and one parent. The accuracy will be higher than 99.99% for inclusion and 100% for exclusion. Identical Twin DNA Test (149£; 388.80£ for legal results) – The test will examine 21 genetic markers and offer 99.9% accuracy for positive results and 100% for exclusion. The results are usually available within 3-5 working days on the company’s secure online system. Immigration Paternity Test (388£) – The results provided by this test are accepted by the UK Border Agency and can significantly help individuals with their applications for British citizenship. The test checks for a minimum of 21 genetic markers, is performed twice to ensure complete accuracy, and yields results within 3-5 work days. Note that you also have to pay an additional shipping and collections fee ranging from 20 to 50£. Immigration Maternity DNA Test (388.80£) – Following their at-home counterparts, immigration paternity and maternity tests are basically identical, except for the biological relationship they’re designed to confirm or exclude. Immigration Sibling Test (429.60£) – This testing solution is identical to the previous two tests, but it also offers the possibility of including more than 3 individuals in the process. The results also take a bit longer, between 5 and 10 business days. If you decide to explore your ancient ancestry, the official DNA Worldwide website will simply redirect you to Living DNA. After you place your order, a personal DNA testing kit will be mailed to your home address, which will allow you to collect your DNA sample in the comfort of your own home. The kit uses mouth swabs, which means the entire procedure will be very quick and entirely painless. The test checks 650,000 genetic markers and covers 80 worldwide regions. It’ll allow you to explore your paternal and maternal lineages and the final report is usually generated within 10-12 weeks. The test kit is shipped worldwide and you’ll be able to download your raw DNA data and use it with other testing companies. The price of the test is 199.00$. Hair Drug Test (192£) – Hair drug testing has been used in UK courts on many occasions to accurately establish the drug patterns of individuals. These tests have been extremely successful in proving whether individuals have stopped using drugs. Contrary to popular belief, the process is completely painless and quite simple; a certified collector will collect between 2 and 4 samples from the crown of your head, each containing around 200 hairs. You’ll receive your final report within 3-7 business days after your sample has been received. Testing for complex drugs, however, will take a bit longer. Hair Alcohol Test (336£) – This test is used to determine the level of alcohol you’ve used over a period of 3-6 months. The results have been successfully used in UK courts to establish alcohol patterns and identify abstinence, regular drinking or excessive alcohol abuse. It entails pretty much the same procedure as the previous test, but the results are usually available within 5-10 business days. Legal Highs & Designer Drug Test (426£) – This test is designed to identify the presence of novel psychoactive substances, such as mystery white powders and synthetic cannabis. A doctor, nurse or accredited sampler can visit your house or any other convenient location within 72 hours. The results are available within 15-20 business days after your samples have been received. Expert Review of Your Drug & Alcohol Tests (129.60£) – DNA Worldwide features a unique team of experts who pioneered this technology and have ample experience with thousands of court cases. World-leading expert Dr. Pascal Kintz also cooperates with the company and can investigate your results, so if you already have your hair drug & alcohol test results but would still like a second opinion, you should definitely take a look at this option. Having said that, the company usually gathers anonymous data for its internal record keeping, improving its website, sending promotional emails from its partners, and contacting you for market research purposes. The company can contact you by phone, email, fax or mail. DNA Worldwide also features solid electronic, physical, and managerial procedures put in place to safeguard the information it collects online. The company will never lease, distribute or sell your personal information to third parties without your explicit permission or unless required to do so by law. DNA Worldwide sends its test kits via FedEx without any shipping or return charges for orders within the UK. The company also ships internationally, but keep in mind that you’ll be responsible for any import duty and taxes applied once the delivery reaches its destination. The company has no control over these expenses and cannot predict their amount. Therefore, it’s best to contact your local customs office for further info before placing your order. DNA Worldwide is an all-encompassing DNA testing provider with an impressive portfolio of high-quality testing solutions. It covers everything from relationships and immigration to ancestry and hair testing for drugs and alcohol, which is something you don’t see very often. In terms of quality, every test we talked about in this DNA Worldwide review is certified and performed twice in a fully accredited processing laboratory. This ensures the perfect accuracy of the final report and minimizes room for potential errors and test failures. Bottom line, we definitely recommend DNA Worldwide since it left us completely speechless with its team, dedication, lab, tests, privacy, and overall business model. It’s no small feat too, given our rigorous set of testing criteria, but we definitely give credit where credit is due. Our ratings are the result of an objective and independent evaluation of DNA Worldwide , generating the final rating that reflects the overall quality of the company. Ratings may change as the service changes. DNA Worldwide user rating based on 3 user reviews. We found 0 verified DNA Worldwide discounts for April, 2019. There are no DNA Worldwide coupons or discounts right now. If you like DNA Worldwide but aren’t sure whether they are truly the ideal choice for you, you may want to take a look at our comparisons below to discover if one of their competitors is more suitable for you.